Today, thanks to Steve Fadie - the author of the nice book that I mention below, I have a great giveaway for you who love writing cards, notes, etc, but have problems with finding the good words to write. 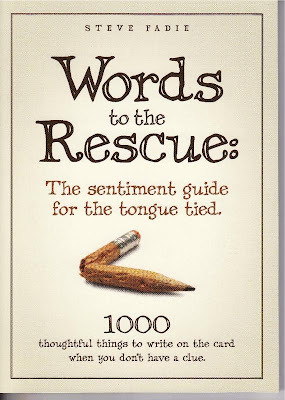 Words to the Rescue, the sentiment guide for the tongue tied is an indispensable resource for anyone who wants to express their feelings in writing, but doesn’t know what to say. You get over 1000 clever, inspirational and thoughtful short sentiments organized into twelve chapters: congratulations, birthday, romance, sympathy, encouragement and more. This 152-page book makes a fantastic small holiday gift or stocking stuffer for teachers, neighbors, service providers, just about anyone. The author says: "As an advertising copywriter for 25 years, my speciality is writing in short formats. In Words to the Rescue, I give readers over 1000 ways to express themselves in notes or greeting cards, each in 30 words or less. There is no other book that contains so many original sentiments that readers can use." "Words to the Rescue (WTTR) helps you say the right thing at the right time." Dr. Laura Schlessinger, internationally syndicated radio talk show host. "Stylish, friendly, easy-to-read." Greg Ferguson, graphic designer. "A book of the twenty-first century, a time to be more caring and loving. I found what to say to a girlfriend whose dad passed away." Crystal Wise, mom. If you want to read more testimonials, click here. OFFER: Buy three books get one FREE. BUY IT: You can buy this enjoyable book for $9.95 here. Visit Words to the Rescue and tell me what you learned there. 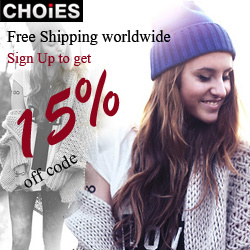 The contest will end on December 14, 2010 at midnight (Turkish time / EET). Open WORLDWIDE. Winner will be chosen by random.org and notified via e-mail. The winner must respond within 48 hours or another one will be chosen. i've learned that the book is for everyone who practically gets tongue tied whenever presented with something to say about about anything :) this is a great book, i must say! The author has been a greeting card maker since age 5. I learned that this book has 110 ways to say “happy birthday” to family and friends and 99 ways to express thanks and gratitude. i learned that there are 99 ways to express your thanks and gratitude inside the book! I learned that you get over 1000 sentiments for just about every occasion imaginable. I just added you as a friend on Facebook. I am Teddy Rose. I like you on Facebook. I am Teddy Rose. I learned that there are 99 examples to express your thanks and gratitude in this book. Features fast phrases to cure writers block! I need this! I learned this book also includes things to write about romance. Hi Damla! This is a great read for me so thanks for hosting the giveaway. I am a teacher and am currently handling Speech Communication in college so this would be helpful to teach my students to communicate bettter! I was touched at this sentence on the site..
"That’s why I created WTTR… so you’ll never be at a loss for words." 99 ways to express your thanks and gratitude! I learned that 450 "fast phrases" to help cure your writer's block!